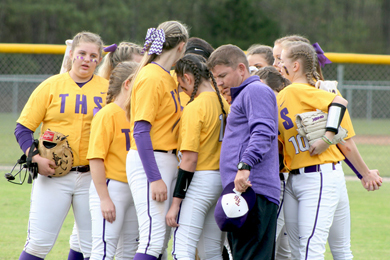 The Tallassee softball Tigers played seven games over seven days. The girls went 6-1 over the week-long stretch. It was an eventful week with an in-school game, an area matchup and a trip to the beach. On Monday, March 18, THS beat Class 7A Auburn 7-4. The Tigers pounded out 11 hits. Chloe Baynes, Belle Haynes, Lexi Love and Jordan Walters had two hits each. Baynes stole four bases. Walters picked up the win with a complete game allowing four hits and striking out six. In the Tigers annual in-school game vs. Dadeville on Tuesday, Tallassee won 18-8. Sinclair Cole went the distance to get the victory. Tallassee had 15 hits led by Avary Lumpkin with four. Baynes had three hits. Haynes and Love had two each. Tallassee put on another hitting clinic on Thursday vs. Beauregard winning 13-2 and collecting 19 hits. Baynes had five hits in the game. Cole and Haynes had three a piece. Lumpkin had two hits, a double and a dinger. Sally Shipman also had two singles. Walters struck out four in the win which put the Tigers at 2-0 in the area. The Tigers went 3-1 in the Alabama/Florida Showdown in Gulf Shores with games vs. Florida teams on Saturday and Monday. 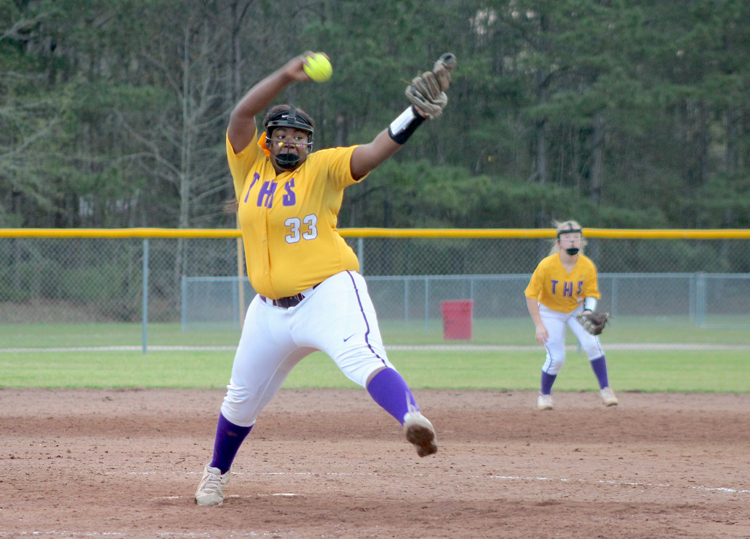 Tallassee beat Milton (4-2), Escambia (7-1) and Northview (6-3). Their lone loss came against Choctaw (6-1). The Tigers advance as the No. 3 seed in the tournament and play Milton at 6 p.m. on Tuesday, March 26. Tallassee (24-4) returns to area play on April 2 vs. Valley. The junior varsity game begins at 4:30 followed by the varsity matchup.